A big thanks to Warner Bros and Undertow media for hooking us up with an invite to the premiere! 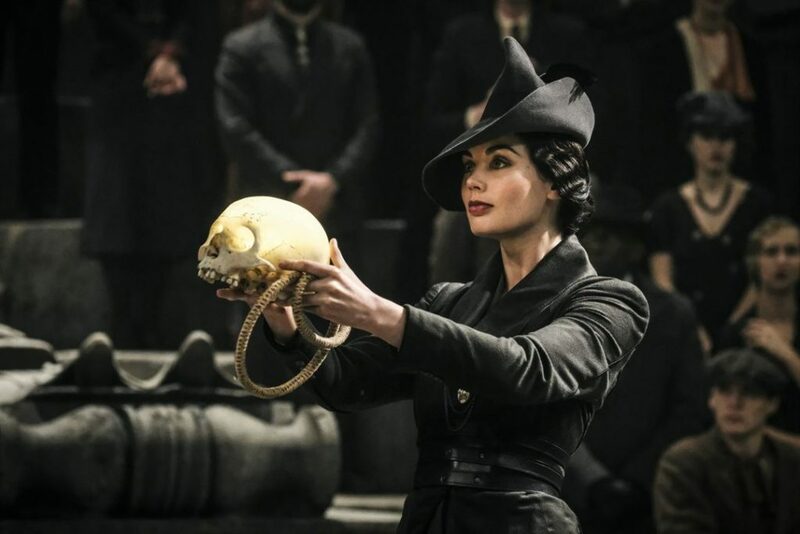 Fantastic Beasts: The Crimes of Grindlewald, (hereafter referred to as FB2) expands on the first films setup further fleshing out the events that shaped the Harry Potter universe. 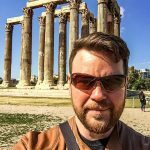 I have had a long history with the Harry Potter series, although I’m not a super fan I’ve seen all of the movies several times and own them all too. I even lived in Porto in Portugal for a while, a setting which heavily inspired J.K. Rowling when she lived there. I’ve even been to the Hogwarts like bookshop where she wrote the first books. I grew up with the characters as they did on screen. 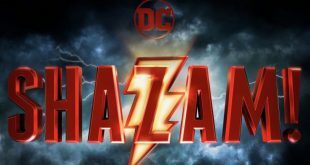 Harry Potter has drawn comparisons with the Star Wars movies on their similar archetypes, now it seems it is following suit with FB2 to kindle a new franchise. But does it do enough to justify its existence in the Potterverse? Eddie Redmayne returns as the socially anxious probably on the spectrum Newt Scamander, I found his performance a lot more accessible this time round than in the first film where he was borderline annoying. Katherine Waterston saunters back into the story as Tina and agent for the American branch of the ministry of magic but she doesn’t really get a chance to shine, although there were some good moments between her and Newt this time. Dan Fogler as Jacob Kowalski, Newts schlubby muggle buddy drops in with his fiance Queenie endearingly played by Alison Sudol (Tinas mind reading sister) and gets dragged into events again. Johnny Depp wasn’t even aware he was in a movie and was just filmed documentary style as he went about it his day. Jokes aside he manages to play the arch villain Gellert Grindelwald but with a side of Thanos level relateability , he never quite manages Ralph Finnes efforts as “he who cannot be named” but is entertaining in a Marilyn Mansonesque way. Ezra Miller as Credence Barebone (revival) scowls his way through the entire movie again, but does have some moments where you get some insights into why he has such a devastating chip on his shoulder. He is joined but Claudia Kim as Nagini (yes that one) as a companion, but their relationship is mainly covered in broad strokes. Zoe Kravitz is Lita Lestrange, a woman with a difficult past and fiance to Newts brother Theseus played by Callum Turner. Jude Law is probably the standout as Albvus Dumbledore, big shoes to fill and fill them he does. He is charismatic and carries the film in the scenes he is in, giving you a good look at Dumbledore in his prime. 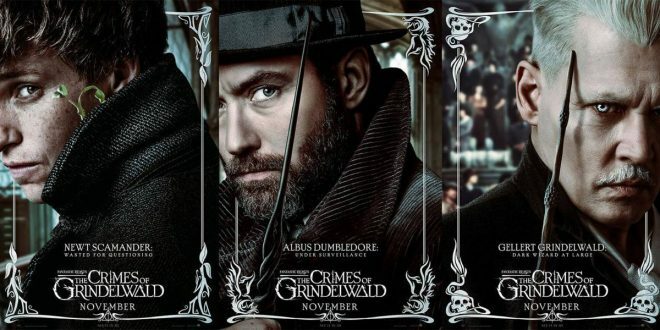 Picking up from the first Fantastic Beasts movie, Grindlewald escapes and commits some of the crimes mentioned in the title. Newt is trying to track down the troubled but dangerous Credence before the Ministry of Magics version of CIA assassins get to him. Jacob and Queenie show up unexpectedly and are having relationship problems. 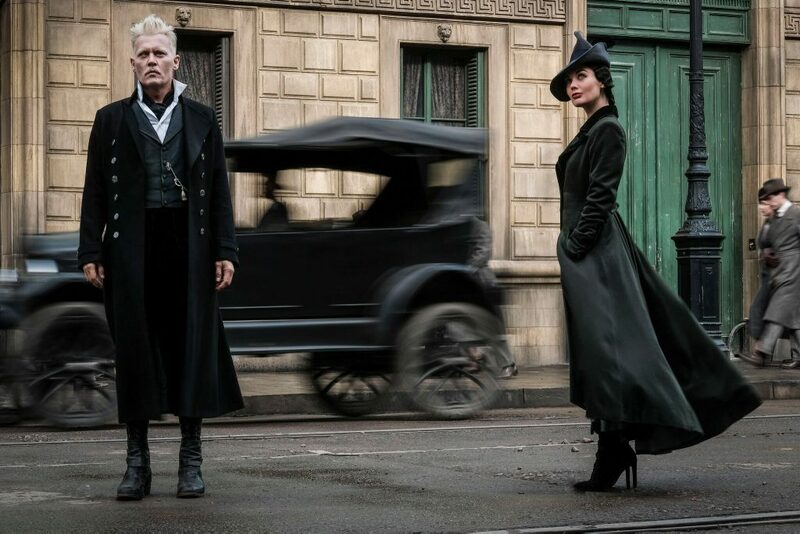 Newt soon crosses paths with Tina who he still has unspoken feelings for and they find themselves on a collision course with Grindlewald consolidating his power and gathering followers. Fantastic Beasts: The Crimes of Grindlewald suffers from many of the same issues as the first movie. Remember how I mentioned Harry Potters similarity to the Star Wars movies? Yeah Fantastic beasts is the prequels, which I guess makes Newt Jar Jar binks. The camera work is pretentious to the point of nauseating, never before has a movie made me want to grab the Director of Photography and shout at them to stop spinning the damn camera. 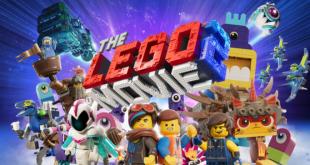 Stop trying to be epic in every shot, even Michael Bay would be telling them to calm down at this point. I’m not sure if it was the particular screening but the colours seemed very desaturated which dulled down a lot of the visuals. Speaking of Michael Bay some of the action and CGI reminded me of the visual overload of the Transformers movies where so much is going on your brain just gives up trying to process it. 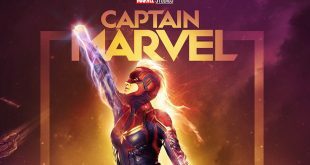 Exposition overload, there are several points of needlessly long plot dumps of exposition and then counter exposition, it just screams sloppy writing. J.K. should stick to writing books not screenplays I’m sorry to say. The editing also at times feels disjointed like scenes are missing along the way. 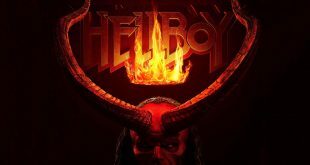 The huge cast and the film trying to service far too many plot-lines few of which pay off just bog the story down. 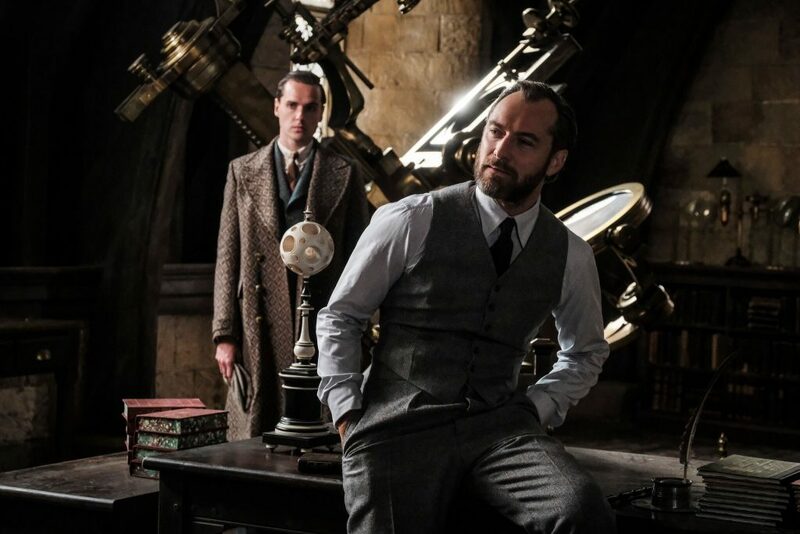 Jude Law as Dumbledore exuding cool is really the films saving grace, followed a close second by Johnny Depps Grindlevald who’s motivations although devious actually make a lot of sense. When FB2 has moments where it gets its lumbering story and cast together in a way that works it really does work. The wonder of seeing some of the Fantastic Beasts is quite amazing when the camera settles down enough for you to focus on them. There are more easter eggs than Ready Player One when it comes to the Potterverse. 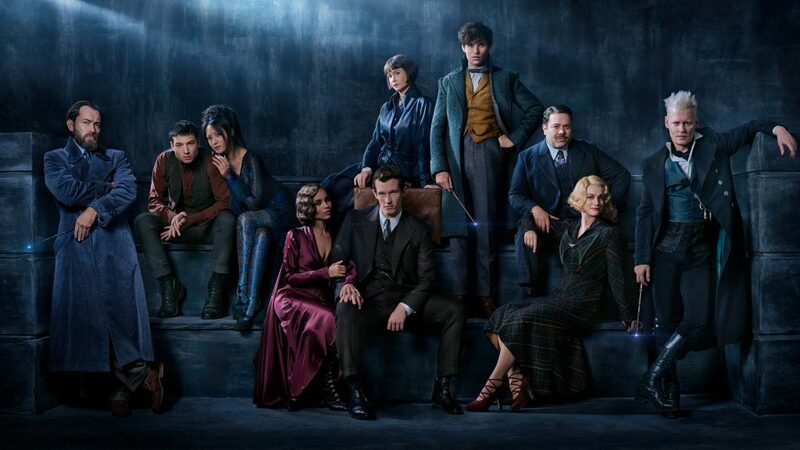 Newt and Tina’s awkward romance, Jacob and Queenie’s infatuation turned toxic and Credence and Nagini’s freaks and outcasts together, the movie really boils down to relationships and it gets it right. As a movie Fantastic Beasts: The Crimes of Grindlewald tries hard to capture the magic of Harry Potter but ultimately is a clunky mess, that said I enjoyed it more than the first one. There is some real talent in this production but suffers from its bloated plot and cast. It is also very aware it is going to be the middle of a trilogy (or who knows how many movies) so the setups for things that might be further down the track is all through its structure. Ultimately it does extend out the Potterverse lore and world with lots of callbacks (or is it call forwards?) to the rest of the films. Expect the quality of the Harry Potter movies. Next Webisode #58 – Big Boys Toys and More!